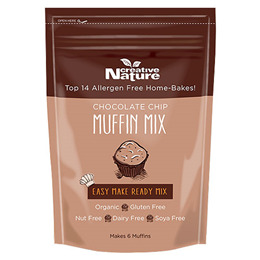 Gluten, Dairy, Wheat, Soya and Nut free, this Organic chocolate chip muffin mix is perfect if you`re looking for a quick and easy ready-to-make muffin to make at home! Vegan recipe on back of pack and no refined sugars. 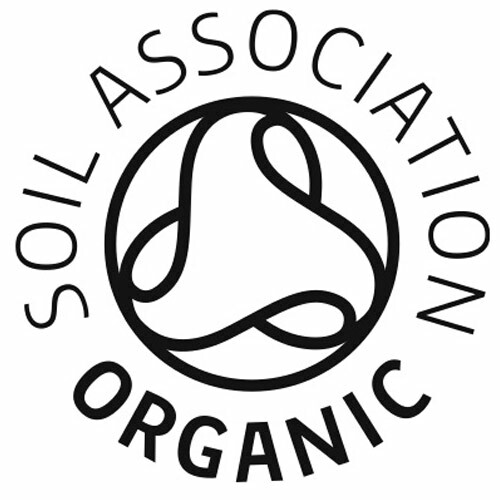 Creative Nature is an ethical organisation that was established to promote health, creativity and respect for the environment, by increasing awareness of environmental, social and health issues, and by providing the highest quality natural products. Brown Rice Flour*, Unrefined Cane Sugar*, Chocolate Chips* (Cocoa Mass*, Cane Sugar*, Cocoa Butter*) (14%), Milled Flaxseed*, Baking Powder (Mono Calcium Phosphate, Corn Starch*, Sodium Bicarbonates). See back of pack for recipes. Store mix in a cool dry place away from direct sunlight. Baked muffins can be stored in an airtight container in the fridge for up to 3 days, or in the freezer for up to 2 months. Below are reviews of Creative Nature Organic Chocolate Chip Muffin Mix - 250g by bodykind customers. If you have tried this product we'd love to hear what you think so please leave a review.